This is the classic Hans Olsen Roundette suite with chair backs that fit into the table rails to give an extremely slimline profile and save maximum space. 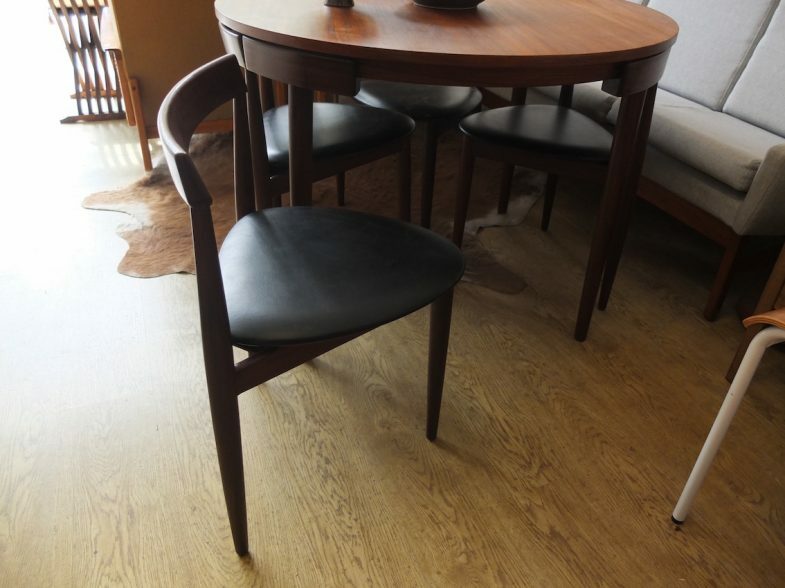 At 105cm diameter it’s a great way to have a functional 4 seater dining suite in the smallest of spaces without giving up too much usable space at the table. 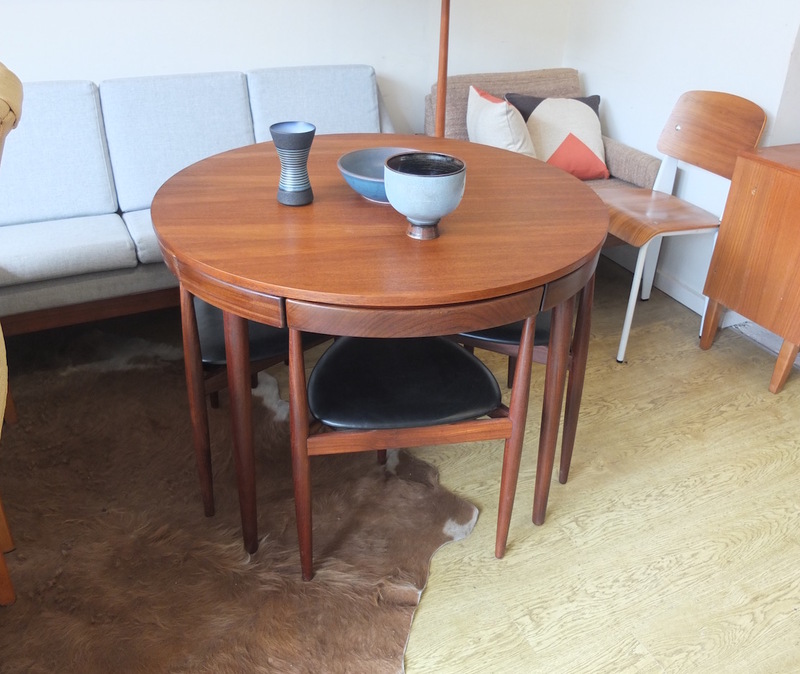 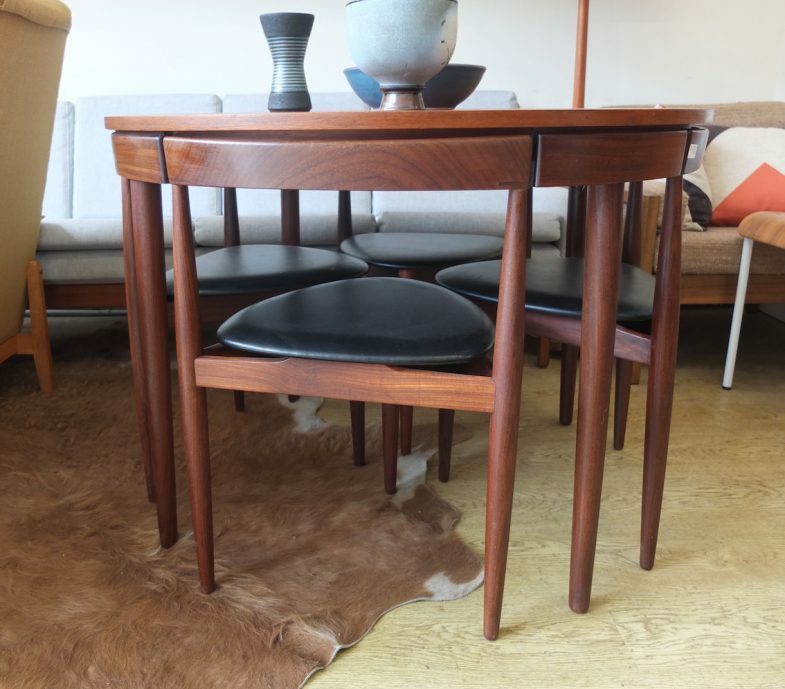 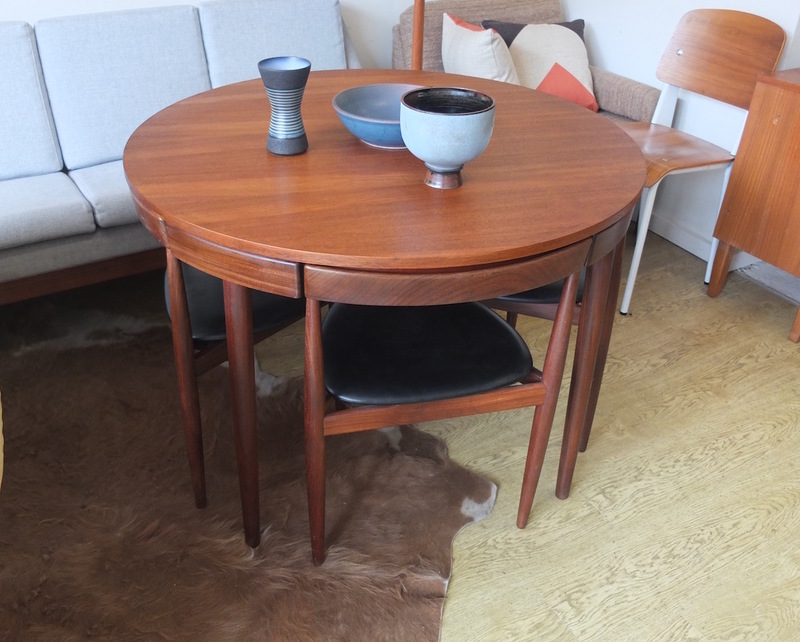 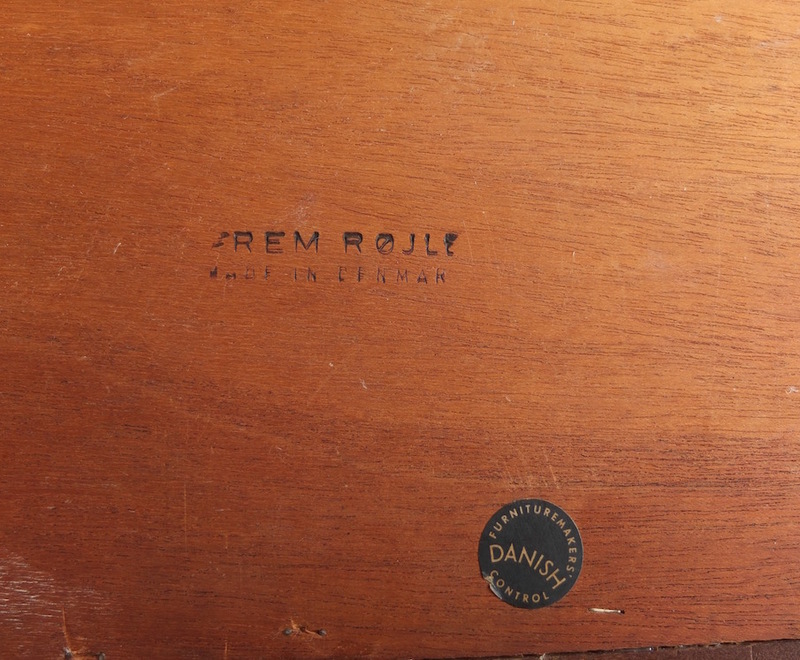 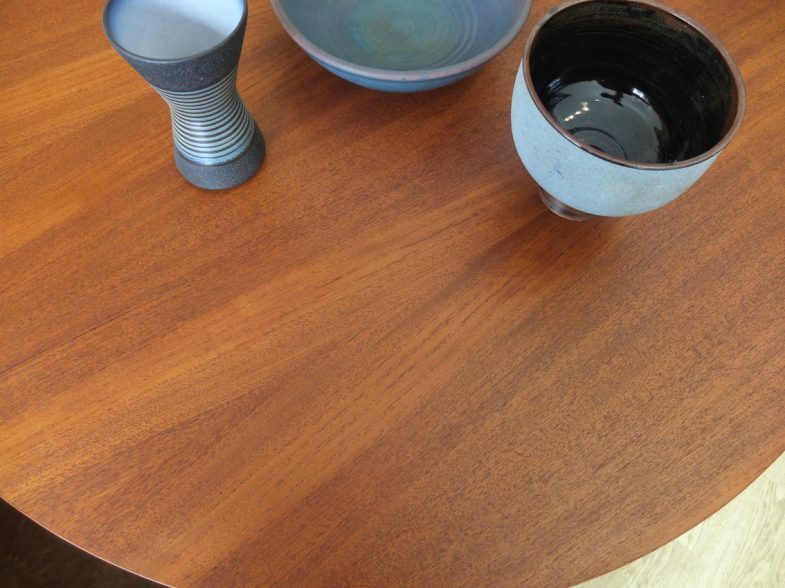 These classic pieces of Danish design are getting very hard to find in good condition and this one is amazing for its age with a super clean top and all original covers etc. To me these are one of the most beautiful and functional designs to come out of Denmark.